Tax season can bring on a lot of emotions for a lot of taxpayers; fear, anxiety, confusion, and relief once it is a all said and done. One of the biggest concerns when it comes to tax preparation is paying extra in tax penalties. This is why it is so important to file taxes accurately and on time. A tax penalty is the IRS’s way of sanctioning taxpayers who do not comply with tax deadlines. Which is why tax deadlines need to be taken seriously. Here are some tax preparation tips to avoid a tax penalty this year. The IRS takes filing tax returns late very seriously and may levy a failure-to-file penalty if tax returns aren’t filed on time. In addition, if additional tax is owed, they will charge failure-to-pay penalty if the amount is not paid by the tax deadline. The failure-to-file penalty is greater than the failure-to-pay penalty, so tax returns should always be filed on time, even if you can’t pay the full amount owed at the time. This helps minimize the penalties and interest that can incur. The IRS does offer installment plans to make the burden of paying additional taxes easier. If you owe money to the IRS you can learn more about your options here. The failure-to-file penalty is 5% on the amount owed per month while the tax is late and starts accruing the day after the tax deadline. The maximum penalty for filing late is 25%. 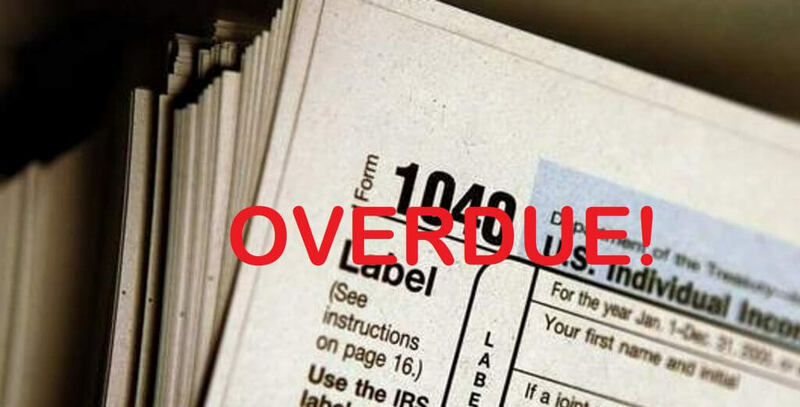 If the tax return is over 60 days late after the due date or extended due date, the penalty will be $205 or 100% of the amount you owe, whichever is less. The failure-to-pay penalty starts at .5% of the unpaid balance per month and can build up to 25%. If both a failure-to-file-penalty and failure-to-pay penalty is assessed the maximum penalty that will be charged is 5% for both per month. To avoid a tax penalty, it is crucial to file the right tax forms accurately. Having a good accounting system in place to keep track of expenses is a good place to start. A good accounting system will demonstrate your profits, assets, and business expenses. This information is vital when it comes to preparing accurate tax returns. In addition, it is important to be mindful of estimated tax payments if you are required to pay them. Estimated tax payments are required, if you expect to owe more than $1,000 in taxes from self employed or 1099 income. Some examples of 1099 income may include: freelance work, e-commerce businesses who sell on third party sites like Amazon or Shopify, or short term rental income like Airbnb or HomeAway. Keep in mind, sites like Amazon, Shopify, Airbnb, and HomeAway only issue a 1099 if the income is 20K and there are more than 200 transactions. However, even if you don’t receive a 1099, if you owe more than $1,000 in taxes, you are still liable for estimated taxes. Regardless if you are part time or full time in your self employed endeavors, the income needs to be reported and tax needs to be collected on a quarterly basis. Failure to pay estimated taxes will result is penalties and interest. The IRS usually assess a .5% late fee per month for a tax bill that isn’t paid, up to 6% per year. In addition to avoiding excess penalties, paying estimated taxes can help lessen the end of year tax burden, making it easier to pay any additional amount owed, avoiding failure-to-pay penalties. To avoid tax penalties in the future always make it a point to file your tax return on time. If this isn’t feasible, then make sure you file an extension before the deadline. If you are required to pay additional taxes, learn about your payment options. A tax advisor can help ensure that your returns are prepared accurately and filed on time. In addition, working with a tax advisor throughout the year can help with your tax planning strategy by keeping you on top of your estimated tax payments, leveraging deductions to lower tax liability, strategizing large purchases, and assisting with a tax savings plan to provide a little cushion in the event you owe in taxes. To learn more about preventing tax penalties subscribe to our newsletter.